On the bicentenary of the composer’s birth in 1818, University College Opera is proud to present the British premiere of Charles Gounod’s rarely performed opera ‘Polyeucte’. 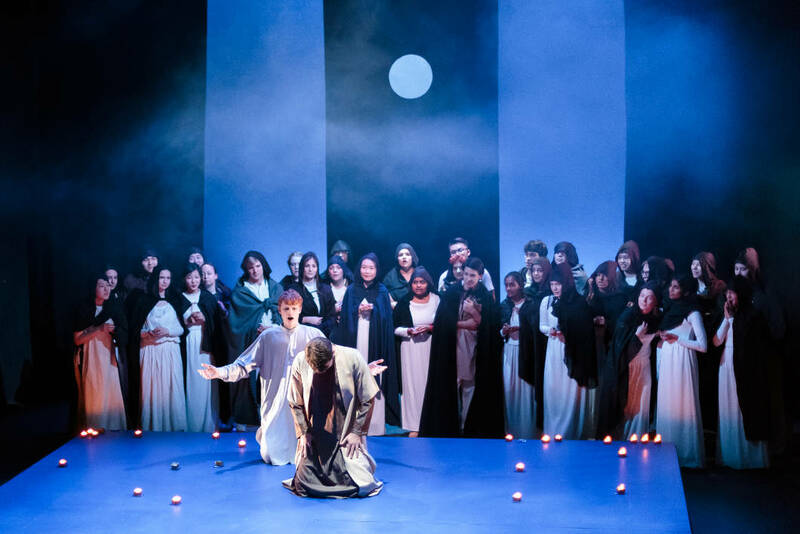 Based on the Corneille play ‘Saint Polyeuctus’, which had previously inspired Donizetti, it tells a tragic story of Christian martyrdom in defiance of the all-powerful powerful Roman Empire. Polyeucte, an Armenian prince, has married Pauline, the daughter of the Proconsul of Armenia. Pauline was once in love with the Roman general Sévère, whose war against Christendom’s new converts is swiftly picking up pace. When Sévère returns to Armenia, he finds his beloved Pauline married to a man who has passionately taken up the new creed. Although Sévère’s love for Pauline is greater than his desire for revenge, the long-reaching arm of Roman power hangs over them all. In this tale of love vs duty and obligation, it is the pious and good who are ultimately defeated, but of course, find their way to heaven. Composed when Gounod was in London in 1870 fleeing the troubles of the Franco-Prussian War, ‘Polyeucte’ is full of beautiful arias and ensembles that are sometimes performed in concerts. 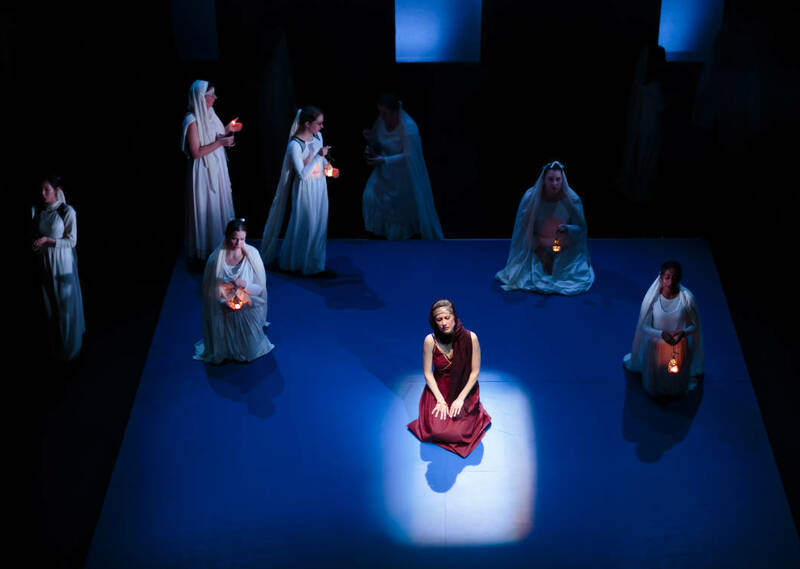 These performances represent a unique opportunity to hear them as originally conceived. 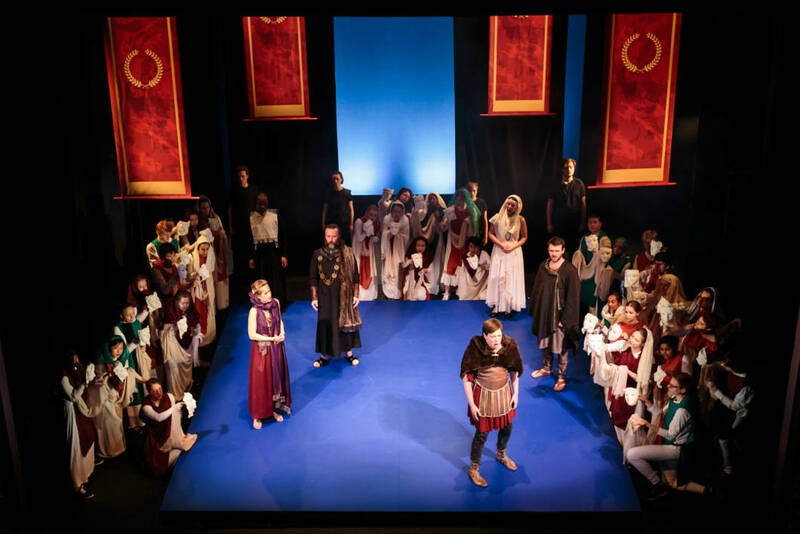 Award-winning and much acclaimed conductor Charles Peebles, who has been musical director of UCOpera since 2002, leads a cast of professional young singers and an enthusiastic and well-rehearsed student orchestra and chorus. 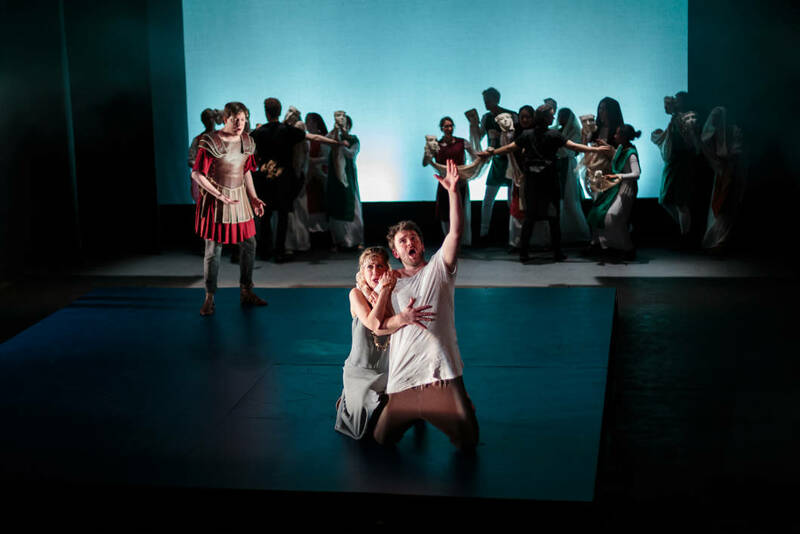 Rising opera-director Thomas Guthrie, who amongst other things has worked on important revivals at Covent Garden, directs this grand opera ‘Polyeucte’ in an imaginative modern-dress production. This was a gutsy performance of a surprisingly compact and pacey work. In this excellent staging by director Thomas Guthrie the extraneous theatrics are abandoned and human relationships come to the forefront. 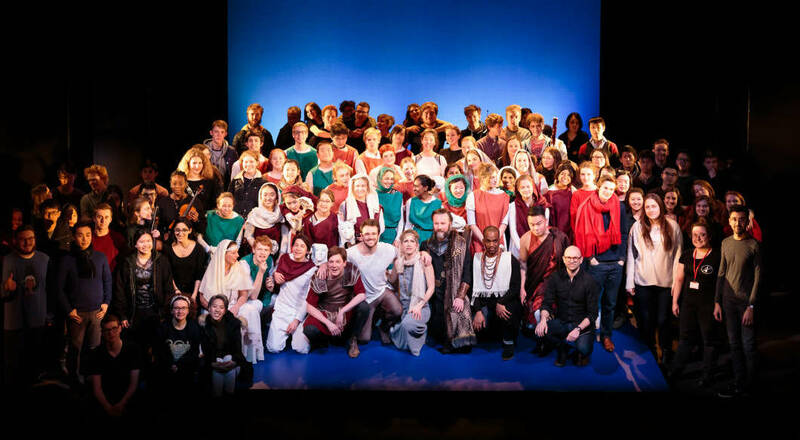 The student opera company of University College London.